Here we go again! Whew...that month flew ...didn't it? So grab your favorite beverage off the table there and settle into your bean bag chair. Comfy? Good. Today I have a guest speaker. She doesn't know she's here but I invited Linda Graham who wrote the fantastic book Bouncing Back to talk to us about our insecurity and mindfulness. Instead of telling you too much about mindfulness, brain plasticity and how we can change our mind, I decided that she would simply share a mindfulness practice that will do better than tell you about those things. We writers appreciate a 'show' rather than a 'tell' anyway. Here is an exercise from page 117: - * I have substituted writerly examples where applicable. 1. 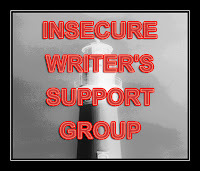 Identify a habitual negative reaction -"I'm not a good writer" "No one will ever publish this." "I'm always rejected." - that you would like to use as a cue to practice rewiring your brain. 2. Identify the new response you would like to substitute - "I'm writing well." "There will be interest in this work." "I'm persistent." 3. Identify a positive code word or phrase you will use to break the circuit and cue yourself to change the channel in your brain: "Open." "It's okay." "All good." The choice is up to you - what's important is to use the cue as soon as you identify the trigger, to prevent yourself from falling into your old, conditioned reaction. Practice saying your cue word to yourself while you're in the actual state so that that your brain conditions itself to shift to that state when it registers the cue. 4. Each time the trigger arises, practice the new pattern of response: say your cue word and shift to the state you've chosen as the new experience (for example, a genuine kindness) as many times as you need to for the new pattern to become the old habit. 5. Notice as the old pattern fades away in the the background and the new pattern becomes more automatic. You have conditioned new learning in your brain, and you have learned that you can do so. Take in the sense of mastery as you experience the actual rewiring in your brain. It is only day four of the BuNoWriMo but I'm happy with my progress. In the four mornings I've worked I've written a new opening chapter and worked the next two with the suggestions from G. I sent him those three chapters this morning and have to wait until he sends me another chunk of revision. So...I'm a bit behind as I'd like to have forty pages revised by now and I have something like 26 but the thing is I know how it's going to go and I can manage it. My plan of waking at five is working with some jigging. I have got up anywhere between 5:12 and 6 but each time I've managed at least an hour and a half of work with lots of time to grab my breakfast and smooch my fella. I don't fret as long as I do the hour and a half. On the weekend I hope (if I have another chunk of manuscript by then) to do some extra hours. G. has told me he has really dived into the book and that the chapters are getting better. That's a relief - may it be so and continue to be so! So...there you have it - I'm checked in. Where are you all at in the merry month of June? 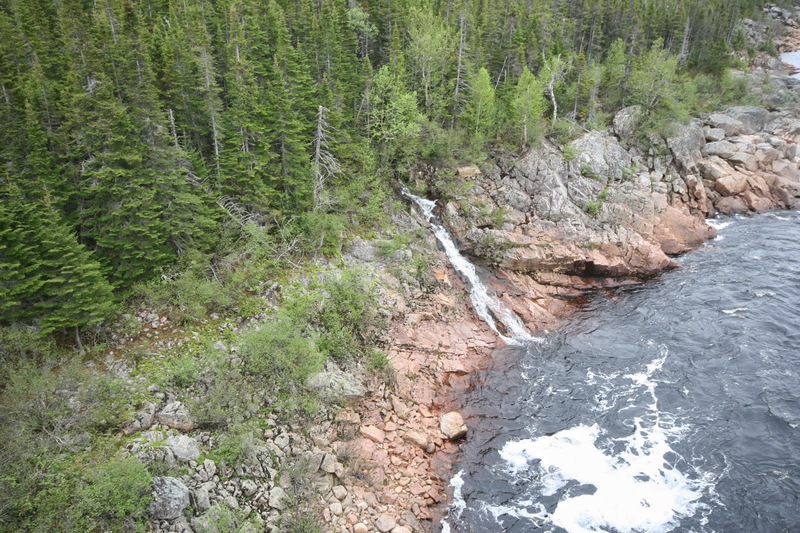 This photo is of the Pinware River on the southern coast of Labrador. We were there just about this time last year...we're heading out the other way (towards Quebec) this year but I hope later in the summer we'll do a weekend down to Red Bay (just before this bridge!). You're doing great, Jan! And I think it's so common to take a few chapters before you sort of fall into the right rhythm. I feel like my books always get better as I get further into them. First off, Jan, I love the 'photo! I really do like the idea of identifying the perceptions, mindsets and so on that hold us back. That's the best way, I think, to move forward. Otherwise we're fighting ourselves, and that makes no sense at all to me. I take that positive reinforcement approach most of the time but in a way it kind of backfires on me. I feel good, but the good stuff I'm hoping will happen doesn't seem to as much as I'd like it to. But on the upside at least I feel pretty good about my life and I keep thinking positively. It could be a lot worse. Hi Lee - yes, it doesn't change the world - just our minds about what is happening. Won't cause us to be luckier but to perhaps consider ourselves luckier. a weird idea I know.